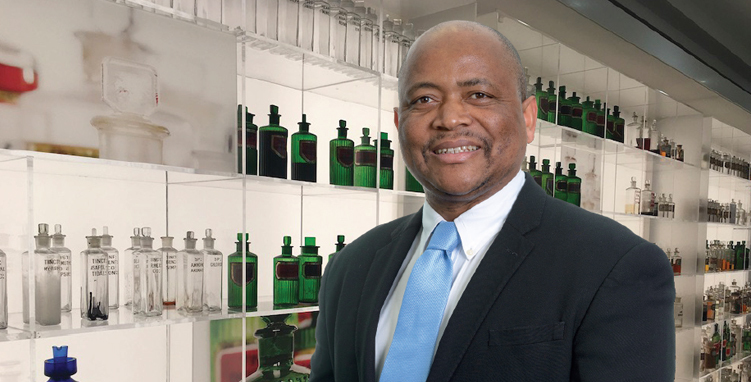 Amid an uncertain global environment and challenging industry dynamics, I am pleased to report another year of positive performance, underpinned by our commitment to ethical conduct, as we pursue our strategy to supply high quality, affordable medicines in a commercially sustainable way. 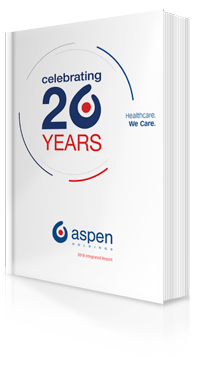 As we mark 20 years since the listing of Aspen, it is worthwhile to note the remarkable transformation that the Group has undertaken, growing from a company providing branded and generic products primarily to South Africa to a multinational pharmaceutical corporation focused on the supply of niche and specialty medicines globally. Supported by regionally focused product portfolios, the Group has a diversified offering with a presence in both stable developed markets, as well as in emerging countries that offer significant growth potential. Continued investment in the Group's complex manufacturing capability and the extensive expertise in supply chain management provide opportunities to achieve operational efficiencies and cost reductions. This strategic direction has uniquely positioned the Group to achieve sustainable growth through a focus on improving our underlying organic growth and pursuing value enhancing acquisitive opportunities, amid growing healthcare industry pressures. Throughout this transformational journey, and despite a number of significant challenges faced along the way, the Group has performed consistently, with this year being no different. The Group achieved revenue growth of 5% on a CER basis and increased normalised EBITDA by 5% on a CER basis. NHEPS grew 10% to 1 604.9 cents per share, a compound annual growth rate of 35% since listing. This consistency demonstrates the vision and strong leadership provided by Stephen and Gus, supported by committed and capable teams. The Group's activities for the 2018 financial year were mainly centred around bedding down the Anaesthetics portfolio acquired in the prior financial year. The acquisition of the residual rights and manufacturing know-how of the AstraZeneca portfolio was a strategic move to optimise the value of this portfolio. The end goal is to consolidate the manufacture of a large portion of the Anaesthetics into Aspen-owned facilities, achieving efficiencies from economies of scale, margin benefit and security of supply. In furtherance of this, the Board has approved capital expenditure in excess of R4 billion in order to create the necessary specialist manufacturing capacity at the Port Elizabeth, Notre Dame de Bondeville and Bad Oldesloe sites. As announced in September this year, the Group has decided to divest of its entire Nutritionals business to the Lactalis Group after having completed a strategic review of this business. The Board believes that this transaction presents considerable value to the Group and will allow Aspen to focus on its core pharmaceutical business. Importantly, the transaction will also provide exciting future opportunities for the employees transferring from Aspen to Lactalis. The Group successfully completed the refinancing of its existing term debt facilities and maintained a strong cash conversion rate. While within tolerance levels, the Group's gearing ratio is an area of focus and proactive steps are being taken to create more capacity. Taking into account the performance of the Group, the Board approved a dividend of 315 cents per ordinary share to our shareholders, which was paid on 8 October 2018. This is an increase of 10% on the prior year's dividend. Aspen is committed to sound environmental, social and governance ("ESG") practices and continues to be a signatory of the UN Global Compact. We identify material issues that could impact our ability to create stakeholder value and integrate these into our business strategy and related key performance indicators. The Board monitors performance through its review of these KPIs on a quarterly basis. Aspen is a proud constituent of the FTSE/JSE Responsible Investment Index and has consistently improved its assessed score each year since its establishment in 2015. Integrity is one of Aspen's five key values and, together with our Code of Conduct this comprises our non-negotiable foundation. The S&E Co continues to be vigilant in their oversight of the Group's ethics and whistleblower programmes. Our sustainable business strategy is underpinned by the belief that through conducting business ethically, with integrity and with commercial wisdom, we will achieve positive outcomes for all of our stakeholders. We reaffirm our commitment to legislative and regulatory compliance in all the jurisdictions where we operate, including fair and open competition. Aspen is committed to fully cooperate with the United Kingdom's Competition and Markets Authority and the European Commission in their respective pricing enquiries and the Board is closely monitoring progress in this regard. The health and safety of our employees and the protection of the environment in which we operate is of utmost importance. It is pleasing to note that we have largely resolved the high safety, health and environment ("SHE") risk that existed at our Moleneind site at Oss and have achieved pleasing overall improvements in SHE compliance, as evidenced by the safety, health and environmental ("SHE") audits which have been undertaken throughout the Group in this reporting period. 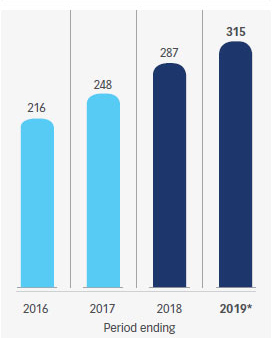 For the fifth consecutive year, there have been no occupational fatalities within the Group. Sadly, an employee passed away from non-work-related causes while on duty at our East London site and we express our sincere condolences to her loved ones for their loss. While Aspen is a global company, our roots are South African. We are firmly committed to transformation in this country and the S&E Co closely monitors progress to this end. We spent R4 010 million on empowering suppliers and contributed R55 million to enterprise development and enterprise supplier development programmes this year. Through a deliberate strategy to address our performance in each of the elements of the BBBEE scorecard, we have been successful in maintaining our Level 4 BBBEE rating this year. We remain cognisant of the changing digital landscape, including the current risks and opportunities this holds for pharmaceutical companies. As the fourth industrial revolution dawns, bringing with it the disruption of established business models, we have dedicated resources and initiated projects that will improve Aspen's response to digitisation, how it communicates and how it positions itself in a growing online commercial environment. Diversity and inclusion at all levels within Aspen are essential to our continued sustainability. In 2018, the Board approved the introduction of two new KPIs to measure our progress in achieving our goals of diversity: the level of representation of females in the top 100 positions in the Group and the level of representation of black employees in the top 50 positions in South Africa. These indicators, at 27% and 22% respectively, reveal that while overall the Group's levels of representation are positive, there is more work to be done in achieving diversity in leadership roles. The Board strongly supports adherence to the highest standards of corporate governance and is committed to corporate conduct that is based on transparency, integrity and accountability. As a Board, we focus on setting an integrated sustainable strategy that will build long-term stakeholder value through taking advantage of opportunities while managing risks appropriately. Leveraging the diverse skill sets, experiences and perspectives of the members, the Board has functioned effectively, supported by its subcommittees that have performed their respective mandates diligently and with commitment. I would like to express my appreciation to my fellow Board members for their important contribution. John Buchanan retired from the Board effective 31 July 2018. John has contributed greatly and provided invaluable guidance to this Board over his 16 years of dedicated service, both as a director and as the chairman of the A&R Co. We acknowledge the significant role he played in the Aspen story and wish him all the best in his retirement. Maureen Manyama did not make herself available for reappointment in December 2017. We thank Maureen for her contribution during her tenure and we wish her well in her business career. I take this opportunity to also welcome Linda de Beer to the Board as a non-executive director and member of the A&R and Remuneration & Nomination ("R&N Co") Committees effective 31 July 2018. Linda brings a wealth of experience and knowledge to the Board and we look forward to her insight and contribution to the Board's deliberations. Access to healthcare is one of the biggest global challenges we face as a modern society. Aspen has an important role to play in meeting this global priority through the production and supply of high quality, affordable medicines and products. On behalf of the Board, I would like to express appreciation to our employees, our business partners and our many other stakeholders who, through collaboration, make such a meaningful contribution to society and the patients who use our products each day. I remain confident that the Group is well positioned and resourced to continue its strategic direction; delivering sustainable value to all of its stakeholders.